Line dancing is one of the most fun county dances out there because you can do it anywhere, and you do not need a partner! Line dance steps can vary greatly as there are a million of combinations that you can learn. Here is a video that will help you learn how to line dance online. This is a great combo you can do at events, parties and other functions. Below we included a few line dance video lessons to help you learn. The cupid shuffle is one the easiest line dance steps that you can learn. It starts with 8 counts of side steps to the right, with the last step being a touch (no weight change). Then repeat the same 8 counts to the left. Then you do 8 counts of “heel steps” in place. Lastly, you do 8 counts of stepping in place to turn 1/4 to the left. Now repeat the same steps all over facing the new wall. This move starts with a jump forward and wigling/grooving then you jump back and again wigling/grooving in place. Then you wobble your hands to the left and then wobble your hands – you can put your own style into it! Then you will do a simple cha cha step where you fowrwad, back and cha cha cha in place, Again – forward, back and cha cha cha in place. From there you are just going to do rhythmical steps in place to turn and face another wall. Then you start all over again. This line dancing step starts with a “grapevine” step to the right (side, behind and side) with a “hitch” (knee up) at the end. Then repeat the same “grapevine” step to the left and do the hitch again. Then 1 step forward and hitch, 1 step foward and hitch. Now you step back for 3 counts and hitch at the end. Then you going to “boogie” with the hips, which just means you going to do a small hip movement forward and back, then you turn 1/4 turn to face the new wall and hitch. Then do the same steps facing the new wall. To help your line dancing, you may also want to learn how to country dance. Furthermore, Ballroom dance lessons will also help you to develop balance and coordination. 1. Learn the counts. Line dancing is not hard when you can count the entire choreography as you do it. Each single step, hip movement, or wobble has to be timed to the music. 2. Distinguish between a “step” and a “touch”. A step is when you change your weight on the foot and a touch is when you do not change weight on the foot. Touches are very commonly used to switch directions so make sure you know when its a touch versus a step. 3. The magic is in between the steps. While the steps and the counts are set, the way you dance in between is what counts. Put your own style into the steps. You can do many different things with your hips, upper torso and arms to stand out. Want to learn more dancing? 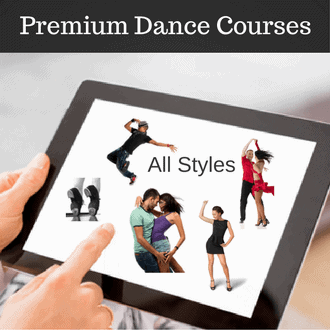 Visit Learntodance.com for other dance lessons.